Aaron Harang was recognized by the Reds prior to tonight’s game for his contributions to the Cincinnati community. 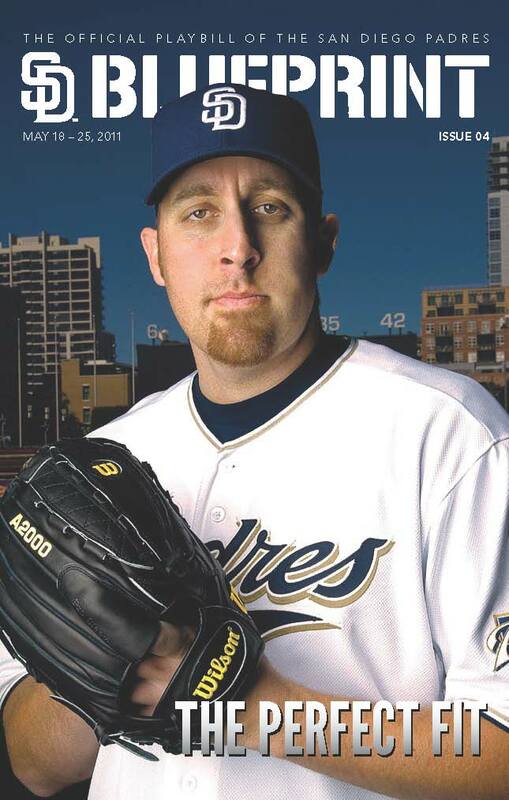 He spent the previous eight years pitching in Cincy before joining the Padres in 2011. Thanks for the Reds for providing photography of the ceremony. The Padres took two of three from Washington, sealing the deal with a 5-4 come-from-behind win today. Since the beginning of the 2004 season, the Padres have gone 34-12 (.739) against the Washington/Montreal franchise, posting a 13-2 series record. The club begins a three-game set at Atlanta tomorrow with Aaron Harang taking on Tim Hudson. Harang has allowed just two runs (one earned) in his last two starts, working 15.0 innings. The Padres will be looking for their first series victory over the Braves since 8/25-27/09. That three-game series in 2009 is the only series victory for the Padres over the Braves since 2005.